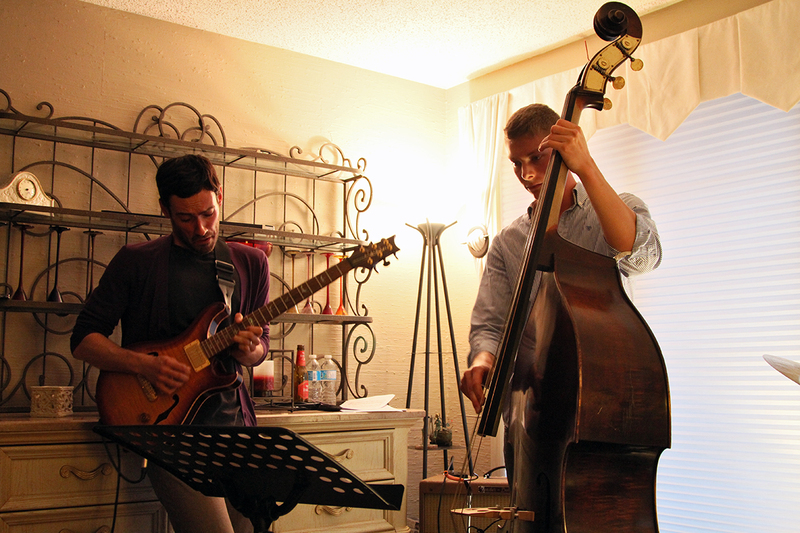 A trio made up of bassist Soren Nissen, drummer Ian Wright and guitarist Nate Renner put on an intimate house show in Saskatoon on Friday, May 17. 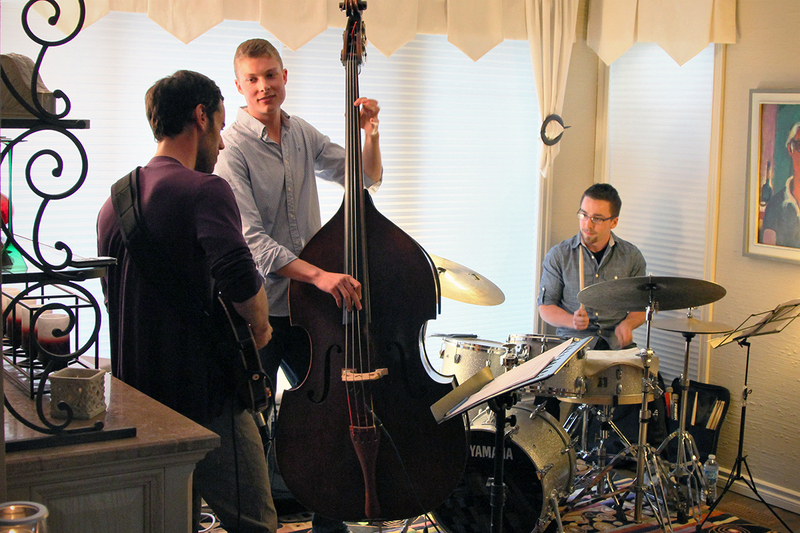 The living room turned concert venue was full to the brim with the band’s friends, family and other local jazzers and music fans. This is a gallery of photos from the show. 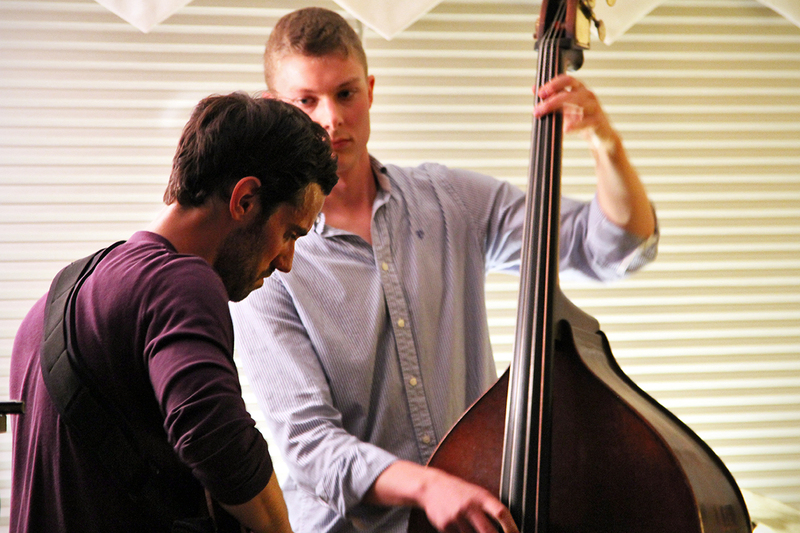 Nissen recently performed at the Bassment for International Jazz Day and will be back in Saskatoon for the Jazz Festival, beginning on June 21. 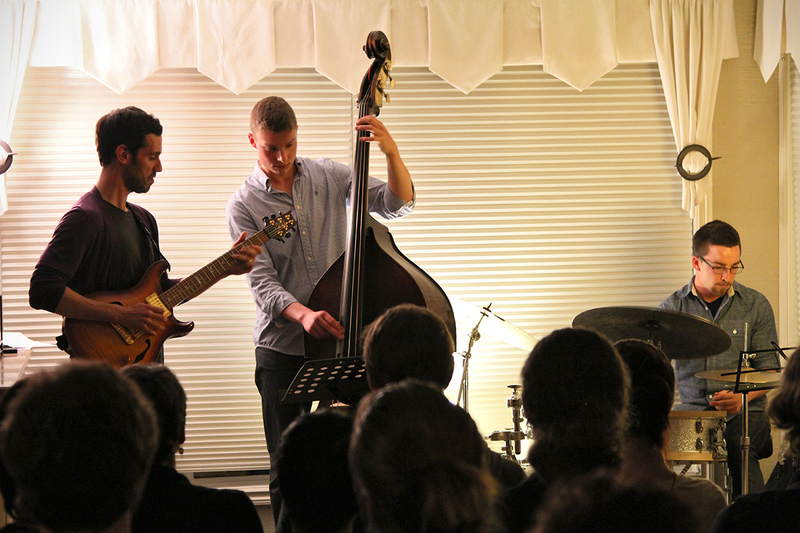 The Soren Nissen, Ian Wright and Nate Renner trio. The living room audience looks on as the trio plays an original tune by Renner. Photo taken Friday, May 17, 2013. 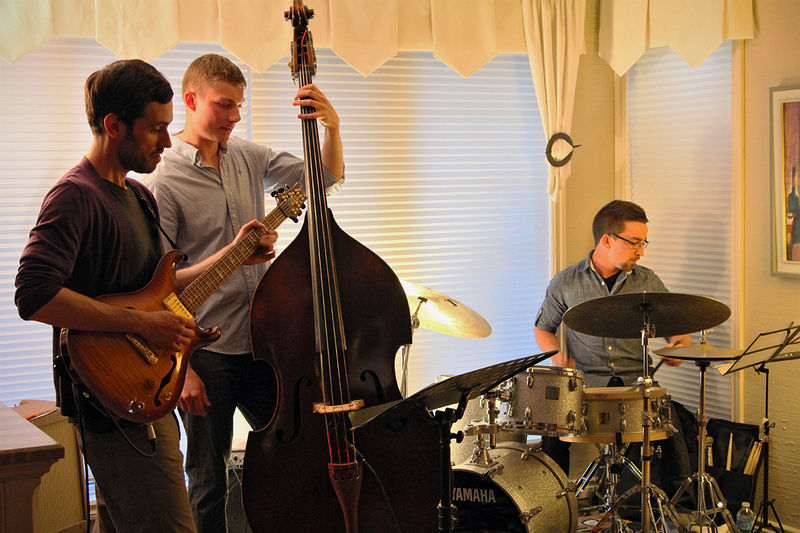 The Soren Nissen, Ian Wright and Nate Renner trio. 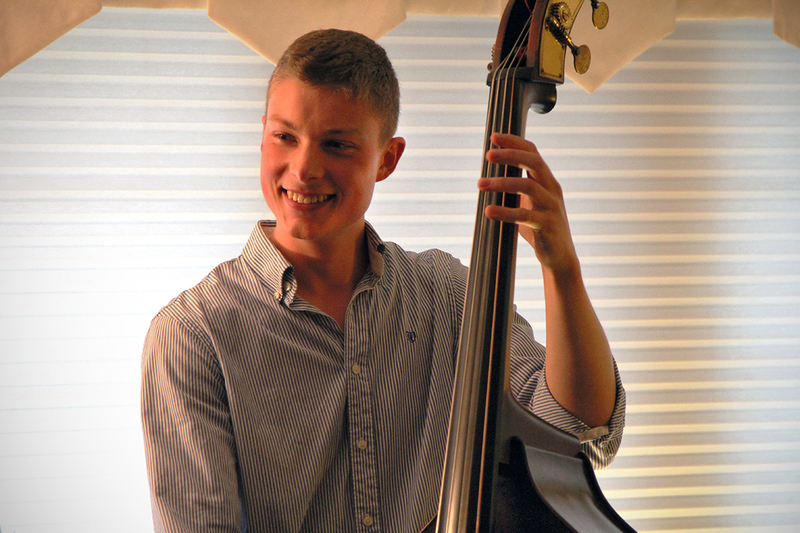 Nissen takes a solo on his double bass. Photo taken Friday, May 17, 2013. 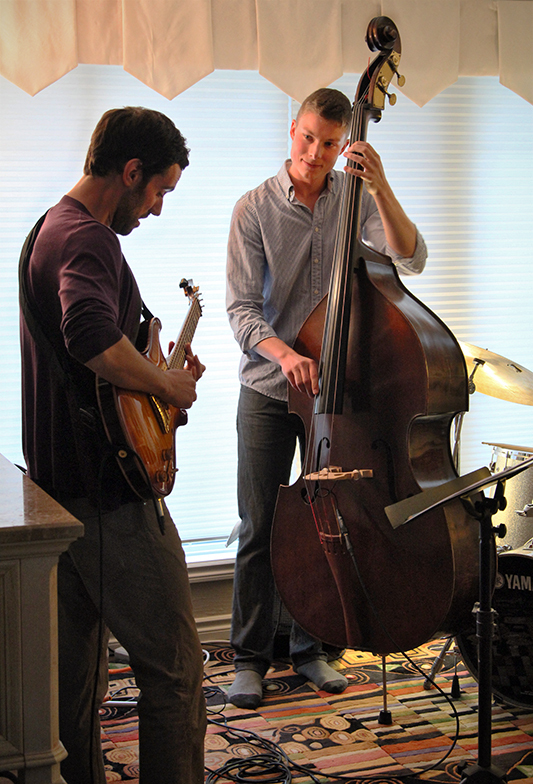 The Soren Nissen, Ian Wright and Nate Renner trio. 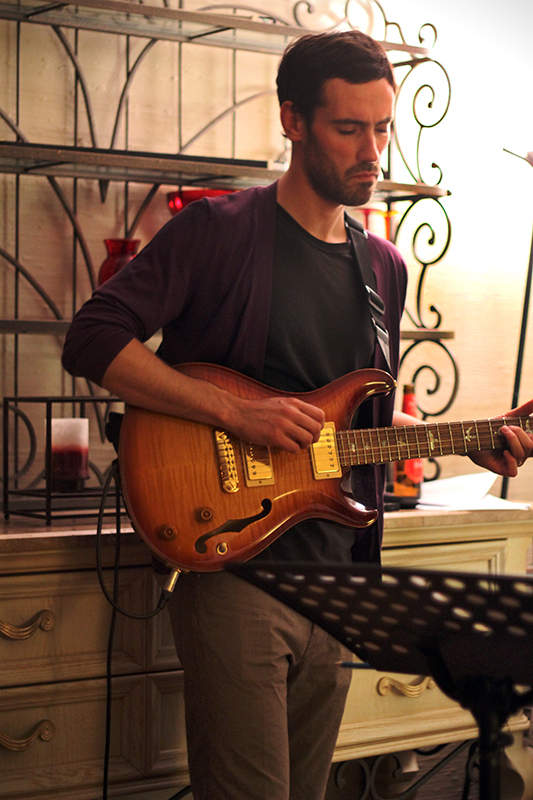 Renner leans into another guitar solo as Nissen plays on in the background. Photo taken Friday, May 17, 2013. 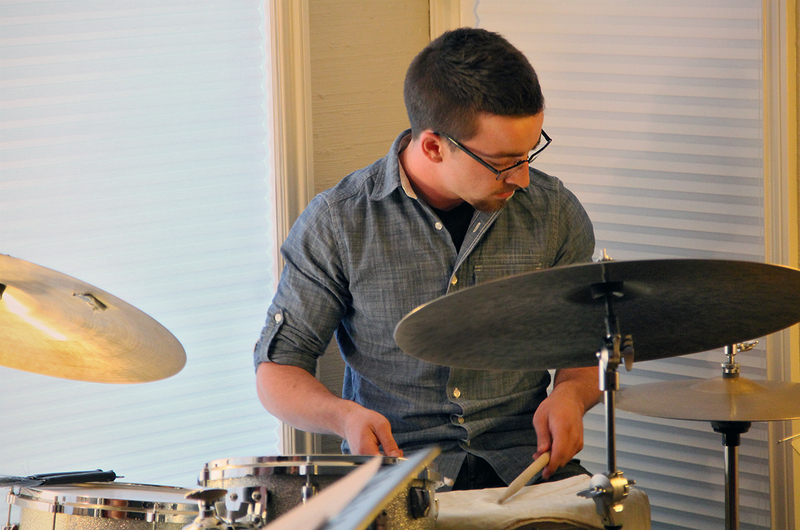 The Soren Nissen, Ian Wright and Nate Renner trio. 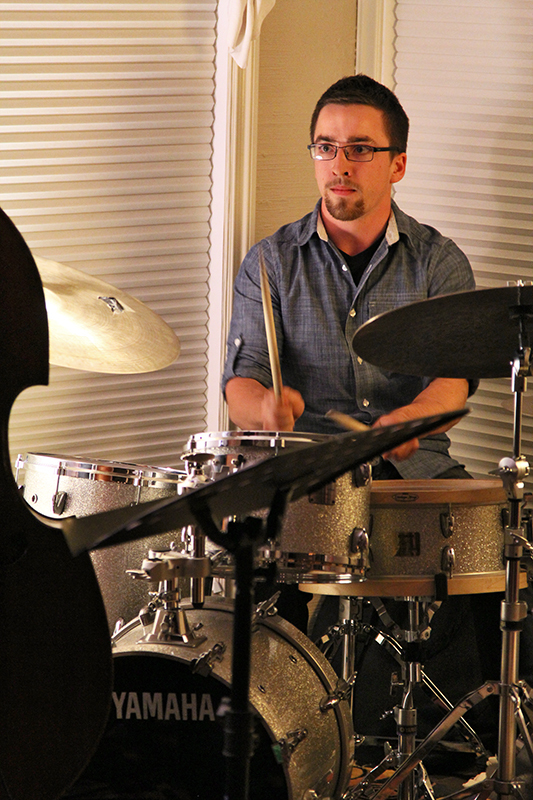 Wright, a Toronto-based drummer, kept the trio on time. Photo taken Friday, May 17, 2013. The Soren Nissen, Ian Wright and Nate Renner trio. 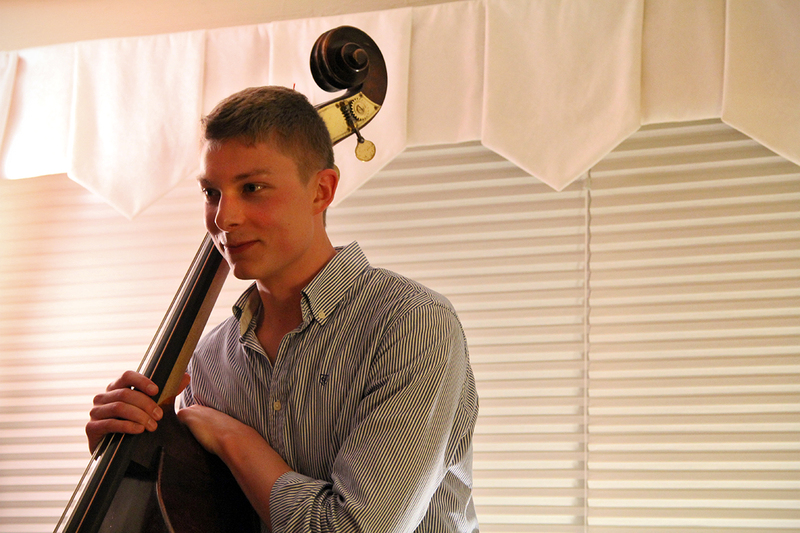 The trio began playing as the last bit of sunlight was diffused into the living room. Photo taken Friday, May 17, 2013. 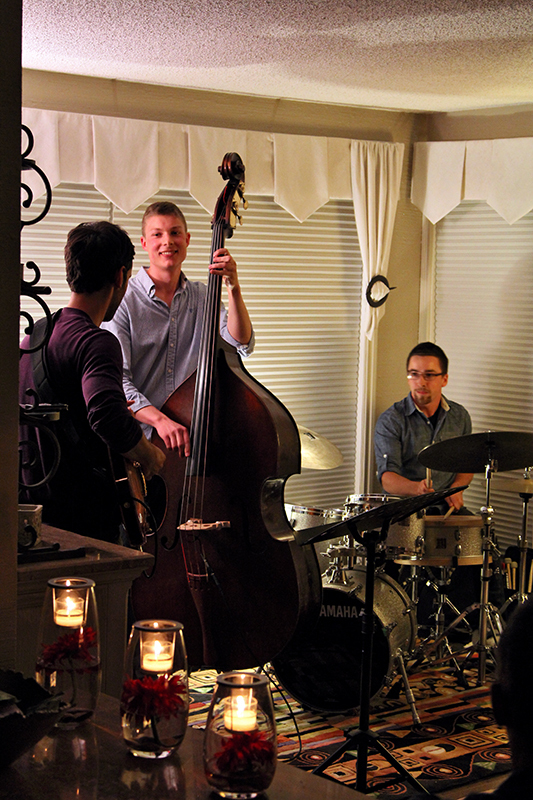 The Soren Nissen, Ian Wright and Nate Renner trio. Renner pierces our souls with his jazzy stare. Photo taken Friday, May 17, 2013. The Soren Nissen, Ian Wright and Nate Renner trio. Photo taken Friday, May 17, 2013. The Soren Nissen, Ian Wright and Nate Renner trio. Nissen looks on and plays bass as Renner gets into another guitar solo. Photo taken Friday, May 17, 2013. The Soren Nissen, Ian Wright and Nate Renner trio. 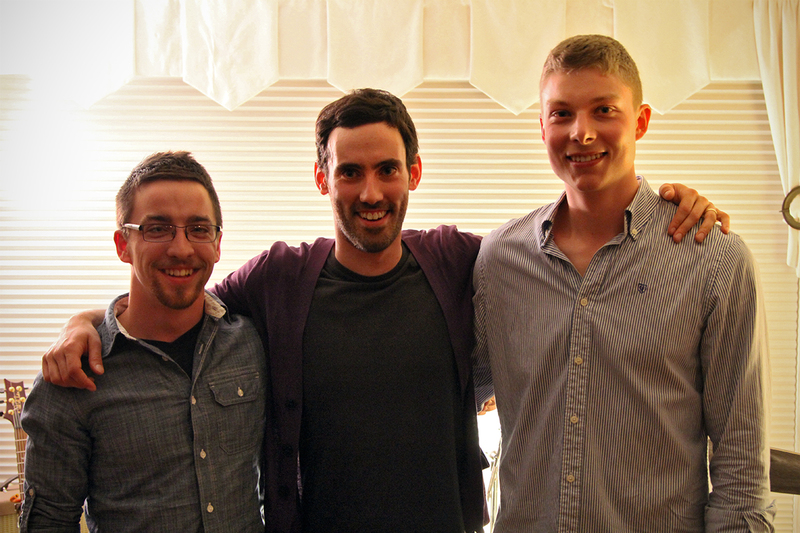 The trio played two full sets and an encore at the Saskatoon house show. Photo taken Friday, May 17, 2013. 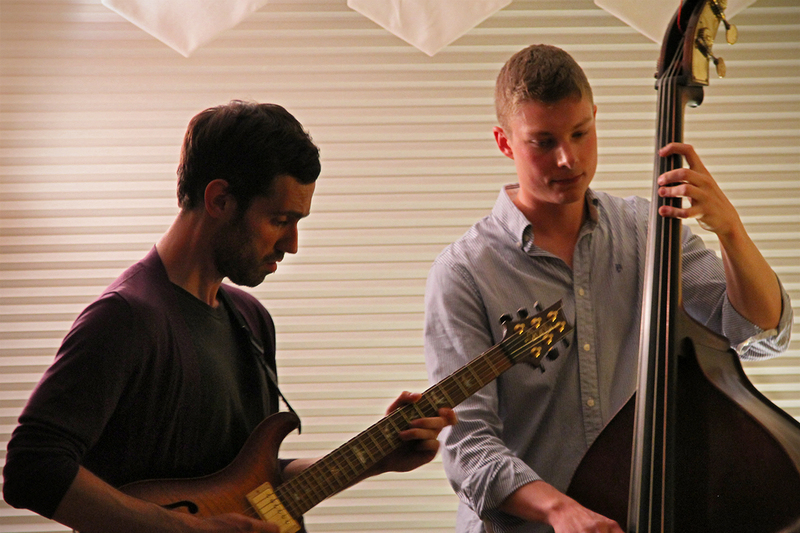 The Soren Nissen, Ian Wright and Nate Renner trio. 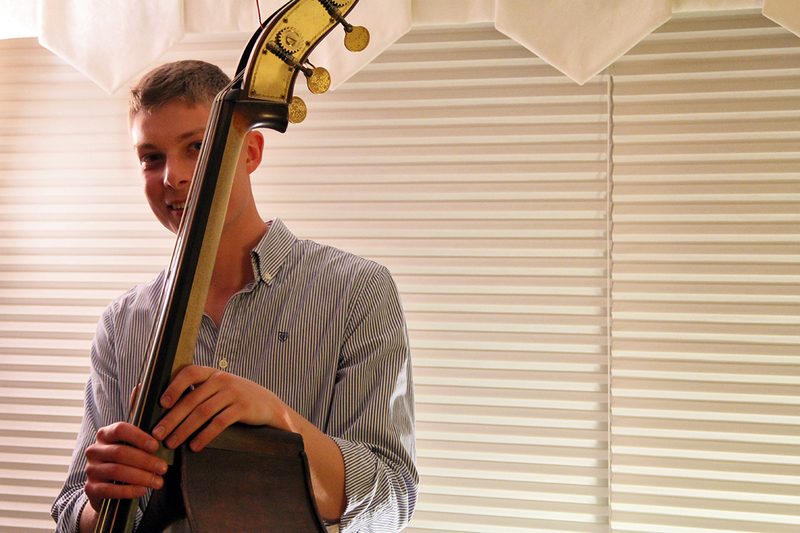 Nissen looking sheepish behind his bass. Photo taken Friday, May 17, 2013. The Soren Nissen, Ian Wright and Nate Renner trio. Ian Wright looking serious during a drum solo, with Nissen’s bass just visible in the foreground. Photo taken Friday, May 17, 2013. 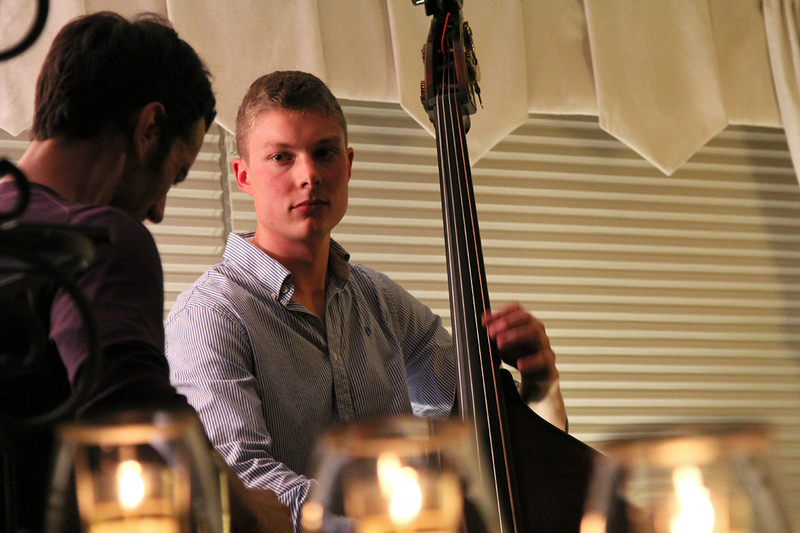 The Soren Nissen, Ian Wright and Nate Renner trio. 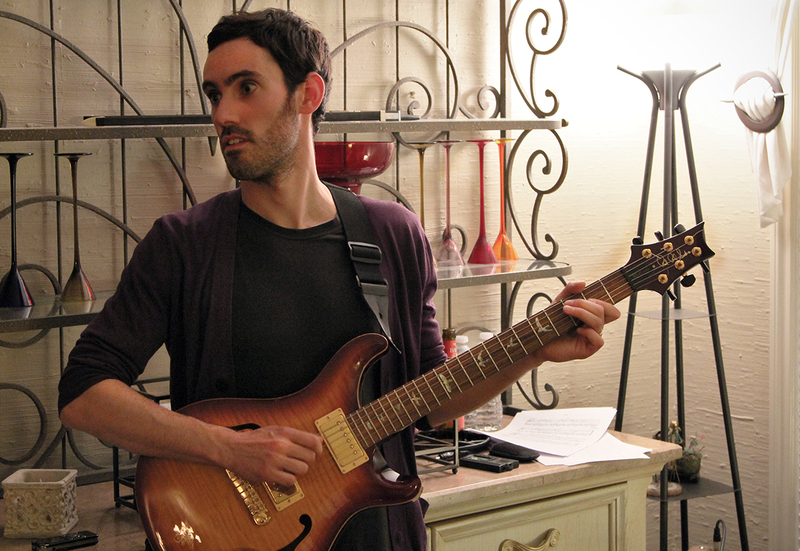 Guitarist Nate Renner getting into a groove. Photo taken Friday, May 17, 2013. The Soren Nissen, Ian Wright and Nate Renner trio. Renner takes a guitar solo while Nissen looks on. Photo taken Friday, May 17, 2013. The Soren Nissen, Ian Wright and Nate Renner trio. 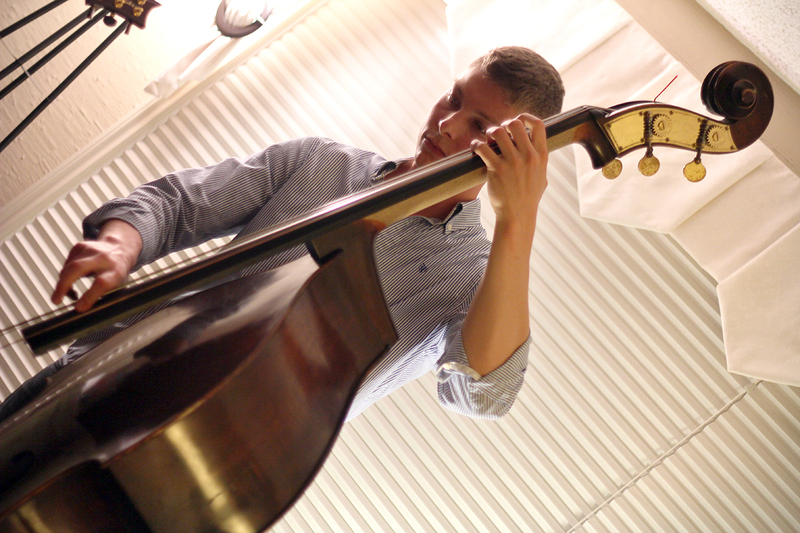 Nissen leans on his instrument between songs. Photo taken Friday, May 17, 2013. The Soren Nissen, Ian Wright and Nate Renner trio. 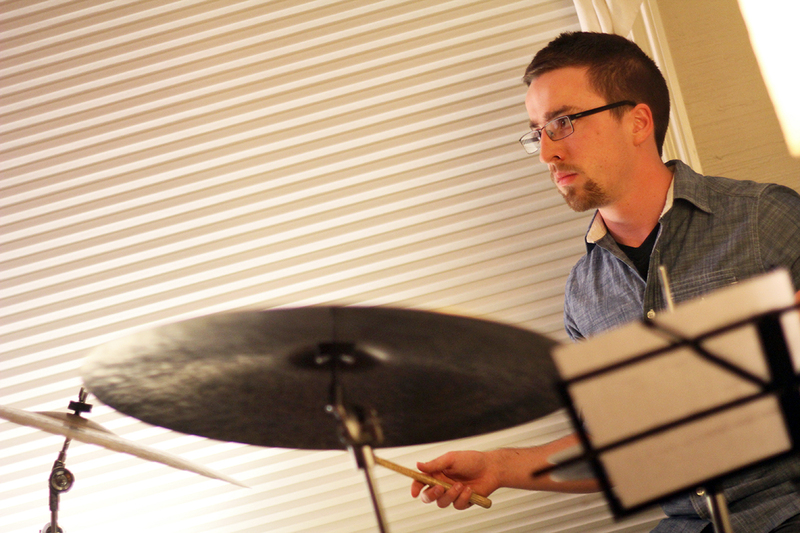 Ian Wright, who does work with interpretive dancers in Toronto, was featured on the drums. Photo taken Friday, May 17, 2013. The Soren Nissen, Ian Wright and Nate Renner trio. 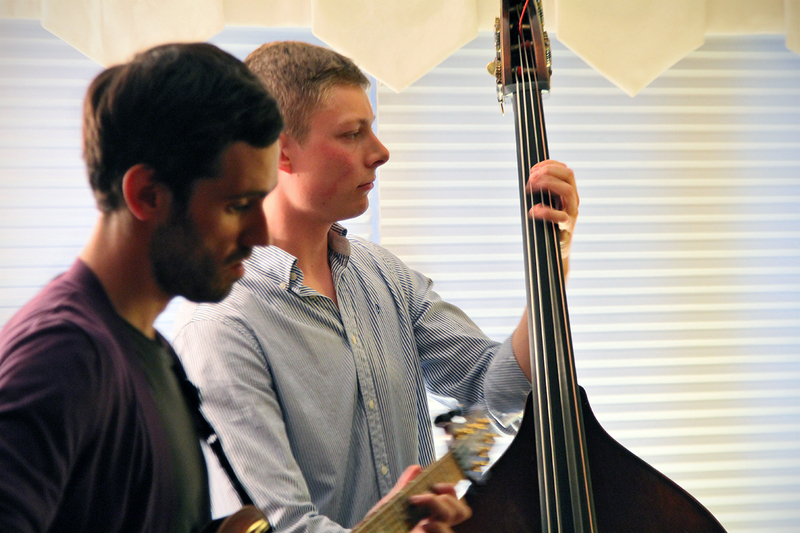 Nissen and Renner trade licks in the living room. Photo taken Friday, May 17, 2013. The Soren Nissen, Ian Wright and Nate Renner trio. Candles flicker in the foreground as the trio plays on. Photo taken Friday, May 17, 2013. The Soren Nissen, Ian Wright and Nate Renner trio. The trio poses for a band portait after their encore tune. Photo taken Friday, May 17, 2013.